.. Happy 84th Birthday to Jim Robson! actor/game show host Warren Hull was born in Gasport NY. 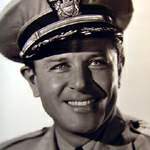 A movie actor in the 30’s, he turned to radio in the 40’s with announcer/host roles on such shows as Your Hit Parade and Vox Pop. Hull was also the emcee of Spin To Win, only the second game show created by the team of Mark Goodson and Bill Todman. The next two decades he hosted TV game shows Strike It Rich, Top Dollar, Who In the World and Beat the Odds. 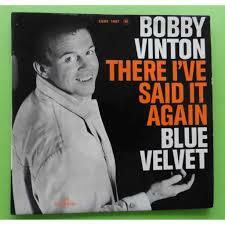 He died of heart failure Sept 14 1974 at age 71. On this day in 1921, radio/TV/film actor Herb Ellis was born in Cleveland. The veteran character actor took great pleasure in claiming he’d helped Jack Webb create the legendary cop show Dragnet. He played bistro owner Wilbur on the NBC-ABC crime drama Peter Gunn, created by Blake Edwards. On OTR radio he was regularly cast in the iconic CBS dramas Escape, Suspense, and Broadway is My Beat, etc.,etc. He died on Boxing Day 2018 at age 97. Also in 1921, journeyman actor Dehl Berti was born in Pueblo Colorado. He earned a living playing largely Native American characters on episodic TV, with regular roles in the series The Edge of Night, Born to the Wind, Operation Neptune & The Adventures of Rin Tin Tin. He died after a heart attack Nov. 26 1991 at age 70. 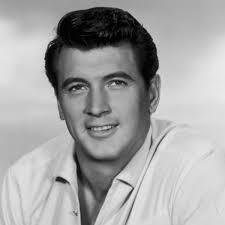 On this day in 1925, leading man Rock Hudson was born Leroy Harold Scherer Jr. in Winnetka Illinois. His stage name came when an agent combined Rock of Gibraltar with the Hudson River. When his big screen career foundered in the 1970’s he turned to TV movies & the very successful series MacMillan & Wife. He also had a recurring role on Dynasty. He died of complications from AIDS Oct. 2 1985 at age 60. On this day in 1932, actress Sheree North was born Dawn Shirley Crang in Los Angeles. After 20 years of guest spots on episodic TV she was cast in two short-lived series in the 80’s, I’m a Big Girl Now & Bay City Blues. Once considered an alternative casting choice to Marilyn Monroe she played Monroe’s mother in the TV movie Marilyn: The Untold Story. In her 60’s she played Kramer’s motber on Seinfeld. North died during cancer surgery Nov 4, 2005 at age 73. On this day in 1933, puppeteer, ventriloquist & children’s TV hostess Shari Lewis was born in New York City. She began on local TV in 1953, and graduated to NBC in 1960, winning 12 Emmys and a Peabody award along the way. Her most famous character was the sock puppet Lamb Chop. She died of uterine cancer Aug 2, 1998 at age 65. 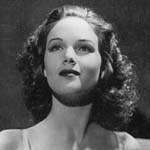 On this day in 1938, silent film star Francis X. Bushman was the star of the 15 minute soap strip, “Stepmother,” which debuted on CBS radio. The show continued on the air for the next four years, under the Colgate sponsorship, but with a variety of lead actors. On this day in 1941, Gene Krupa and his band recorded the standard, “Drum Boogie”, on Okeh Records. The lady singing with the boys in the band during the song’s chorus was Irene Daye. On this day in 1949, the unique comedic talent Andy Kaufman was born in New York City. Best known for his role as Latka on the TV series Taxi, he also appeared on the premiere broadcast of Saturday Night Live, and starred in the 1979 kid’s show Andy’s Funhouse. He succumbed to lung cancer May 16, 1984 at age 35. Also in 1949, after 18 years on radio, “The Goldbergs” starring Gertrude Berg, began its seven-year run on TV. 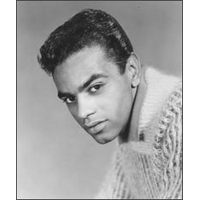 On this day in 1958, new singing sensation Johnny Mathis played Vancouver. The concert, at the PNE’s Exhibition Gardens, featured tickets priced from $2.50 to $3.75. Yes, the decimal point is in the right place! On this day in 1959, Vancouver radio station C-FUN 1410 AM took out a full page ad heralding it’s spanking new studio facilities at 1900 West 4th Avenue. But it would be another 14 months before C-FUN morphed into a Top 40 powerhouse. On this day in 1960, Cliff Richard‘s “Living Doll,” a #1 hit in the UK, was certified to be a Gold Record. On this day in 1963, future Rolling Stoners Keith Richards, Mick Jagger, Brian Jones, Bill Wyman, Charlie Watts and Ian Stewart performed together for the first time, at the Narquee Jazz Club in London. On this day in 1966, NBC bought The Monkees television series, placing it on their 1966 fall schedule. On this day in 1967, the Jimi Hendrix Experience recorded a session for Radio Luxembourg’s Ready Steady Radio. The band ran up a bar bill of £2.5 shillings, ($6.21), which they were unable to pay. Also in 1967, the Abbey Road Studios in London were the scene where David Mason recorded the piccolo trumpet solo for The Beatles‘ iconic track “Penny Lane.” Mason was paid the equivalent of about $42 for his performance. 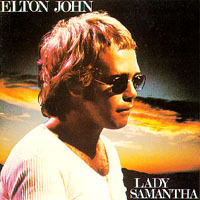 On this day in 1969, “Lady Samantha”, one of the very first recordings by Reginald Kenneth Dwight (aka Elton John), was released in England on Philips records. The song floundered, then bombed. The rock group,Three Dog Night, however, thought Elton’s tune was nifty and recorded it for an album. Also this day in 1969, Led Zeppelin‘s debut album was released in North America, while in the UK, The Beatles released the Yellow Submarine LP, their tenth. On this day in 1970, The Doors played the first of several shows at the Felt Forum in New York City. 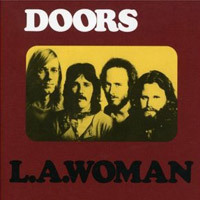 The shows were recorded for use on their “Absolutely Live” album. On this day in 1972, Highway 51 South in Memphis was renamed Elvis Presley Blvd. It runs in front of Graceland. On this day in 1973, Perry Como began recording his version of Don McLean’s “And I Love You So.” The track was finished two days later, and would soon become the last of Perry’s dozens of hits to enter the Top 40. On this day in 1974, the No. 1 Billboard Pop Hit was “Show and Tell” by Al Wilson. Also this day in 1974, singer Dino Martin, the son of Dean Martin, was arrested for possession and the attempted sale of two machine guns to an undercover officer. He was arraigned and released the next day on $5,000 bail. On this day in 1975, the detective series “Baretta” that made Robert Blake a TV star debuted on ABC. 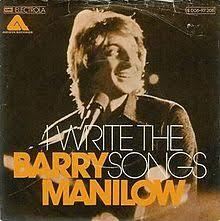 On this day in 1976, “I Write the Songs” by Barry Manilow topped the charts but stayed there for just a week. It was Manilow’s second #1 song. Also in 1976, this day saw Earth Wind and Fire start a three-week run at No.1 on the Billboard pop album chart with ‘Gratitude’. On this day in 1980, actress and commercial spokeswoman Barbara Britton succumbed to gastric cancer at age 59. She had mainly minor film roles, and was cast as Pam in the mystery Mr & Mrs North, in its latter years on radio & for the TV run of the series. 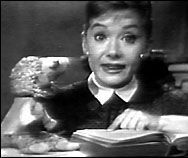 But most of her celebrity resulted from her live Revlon commercials on the late 50’s TV quiz sensation The 64,000 Dollar Question. On this day in 1983, comedian Doodles Weaver, best known for his appearances & recordings with Spike Jones & His City Slickers, died by his own hand at age 71, after years of alcoholism & failing health. Also this day in 1983, the award-winning PBS series Frontline was seen for the first time. It continues to push the envelope journalistically every week. On this day in 1984, the US Supreme Court ruled by a narrow 5-4 vote, that private use of home VCRs to tape TV programs for later viewing did not violate federal copyright laws. On this day in 1985, Star Trek’s Mr. Spock Leonard Nimoy received a star on the Hollywood Walk of Fame. On this day in 1986, Reba McEntire joined the Grand Ole Opry. On this day in 1987, “Shake You Down” by Gregory Abbott topped the charts but only for a week. 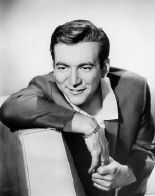 On this day in 1990, the Fifth Rock & Roll Hall of Fame Awards saw top honors go to the late Bobby Darin. That night The Four Seasons, The Four Tops, The Kinks, The Platters, Simon and Garfunkel and The Who were also inducted into the Hall. On this day in 1992, a special “Michael Jackson…the Legend Continues” aired in prime-time on CBS-TV. On this day in 1994, 36-year-old Donny Osmond fought 34-year-old Danny Bonaduce of TV’s “Partridge Family” in a charity boxing match in Chicago. The younger Bonaduce won by a split decision. On this day in 1995, The Golf Channel began on some U.S. cable systems. Four years later, the world’s first 24-hour golf network was seen in over 30,000,000 homes. On this day in 1996, Pink Floyd were officially inducted into the Rock’n’Roll Hall of Fame, in a ceremony at the Waldorf-Astoria Hotel in Manhattan. 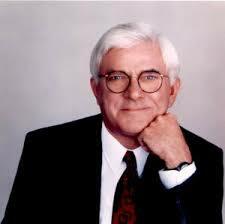 Also this day in 1996, talk show host Phil Donahue announced he was retiring after the end of the season, after 29 years on the air. On this day in 1998, blues singer/guitarist David “Junior” Kimbrough died in Holly Springs, Miss., after suffering a stroke. He was 67. On this day in 1999, Garth Brooks‘ first TV special, “This Is Garth Brooks,” aired in prime time on NBC. On this date in 2000, it was a big night for country crossovers as Garth Brooks roped three wins and no-show Shania Twain claimed two at the 27th annual American Music Awards at the Shrine Auditorium. On this day in 2003, actor Richard Crenna died of heart failure at age 76. After playing Oogie Pringle in radio’s Date With Judy and Walter Denton in Our Miss Brooks (both radio & TV) he went on to star in TV’s Real McCoys, Slattery’s People, All’s Fair, It Takes Two & Centennial. Crenna was still fulfilling a recurring role on Judging Amy at the time of his death. Also in 2003 it was announced that FOX had renewed “The Simpsons” for two more seasons. The extension pushed the show past “The Adventures of Ozzie & Harriet” as TV’s all-time longest-running situation comedy. Still this day in 2003 we were told that Madonna would make an appearance on NBC’s “Will & Grace” in May. The appearance was Madonna’s episodic TV series debut. 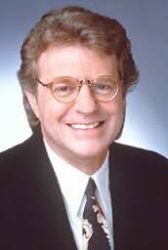 On this day in 2004, TV talk show host, Jerry Springer, began a new radio show on WCKY-AM, Cincinnati, the city where he once had been mayor. Also in 2004, actor Noble Willingham (Walker Texas Ranger, Home Improvement) suffered a heart attack at age 72. On this day in 2006, Vancouver-based Nickelback launched their North American tour in support of the album “All the Right Reasons” in Prince George, BC. On this day in 2007, actor Allan Melvin, who played memorable comic characters in the TV series The Phil Silvers Show, The Brady Bunch, All in the Family and Archie Bunker’s Place, succumbed to cancer at age 84. On this day in 2008, Gene Simmons of KiSS was fired by Donald Trump on the third episode of NBC’s Celebrity Apprentice, after his team fared poorly in completing the week’s task. 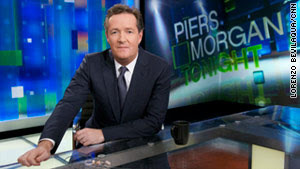 On this day in 2011, the interview show “Piers Morgan Tonight” debuted on CNN in the same slot just vacated (after 24 years) by “Larry King Live.” Morgan scored Oprah Winfrey as his first guest, but the series was ultimately considered a failure. Also this day in 2011, Don Kirshner, the multi-talented music publisher, rock music producer, talent manager and songwriter, who hosted the late night TV show “Don Kirshner’s Rock Concert” from ’73 to ’81, died of heart failure at age 77. Also this day in 2012, Johnny Otis, a bandleader and songwriter often called the “Godfather of R & B,” died at home in L.A. at age 90. Best-known for writing “Willie And The Hand Jive,” Otis helped pave the way for Rock & Roll in the early ‘50s. On this day in 2013, actor Robert F. Chew, best remembered as the rotund ‘Proposition Joe’ on the gritty HBO series ‘The Wire,’ died from heart failure at age 52. Morbid obesity was a significant contributing factor. On this day in 2014, a star of the A & E reality TV show ‘Shipping Wars,’ Roy Garber, suffered a fatal heart attack at age 49. 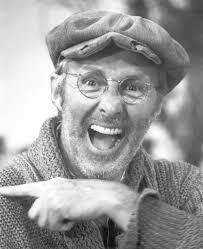 On this day in 2015, Don Harron, who created the Canadian comedic icon Charlie Farquharson (Hee Haw) during a decades-long career in show business, succumbed to cancer at his Toronto home at age 90. He hosted CBC Radio’s ‘Morningside’ from 1977-82, and wrote the lyrics for five musicals, including the 1965 on-stage version of Anne of Green Gables. On this day in 2016, Mic Gillette, first trumpet and founding member of the Oakland-based funk band Tower of Power, died after suffering a heart attack at age 64. Also in 2016, Dale “Buffin” Griffin, drummer and founding member of the 70’s glam rock group Mott the Hoople, passed away in his sleep following a long battle with Alzheimer’s, at age 67. 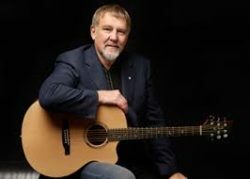 On this day in 2018, Rush guitarist Alex Lifeson confirmed that the Toronto-based band was unlikely to play any more shows or make new music. “We have no plans to tour or record anymore,” he told The Globe and Mail. “We’re basically done.” Rush had a “brief” four decade run. Also in 2018, Simon Shelton Barnes, the British actor who played Tinky Winky in the young children’s TV series Teletubbies died aged 52 of hypothermia after collapsing on the streets of Liverpool. Actress Betty White (Hot in Cleveland, Golden Girls, Mary Tyler Moore) is 97. Actor James Earl Jones (Everwood, Homicide, “This is CNN”) is 88. Hall-of-fame Canadian sportscaster Jim Robson is 84. Actor Jerry Fogel (The Mothers-In-Law, The White Shadow) is 83. Talk show host Maury Povich is 80. Actor Randy Boone (The Virginian, Cimarron Strip) is 77. Singer Chris Montez is 76. Singer William Hart of The Delfonics is 74. Former Rolling Stones guitarist Mick Taylor is 71. Actress Debbie Watson (Tammy, Karen) is 70. Singer Sheila Hutchinson of The Emotions is 66. Singer Steve Earle is 64. Singer Paul Young is 63. Actor-comedian-TV/radio host Steve Harvey (Family Feud, Steve Harvey Show, Little Big Shots, Me & The Boys) is 62. Singer Susanna Hoffs of The Bangles is 60. Ontario-born actor Jim Carrey (In Living Color, The Duck Factory) is 57. Actor Denis O’Hare (American Horror Story, True Blood) is 57. Actor Joshua Malina (Scandal, In Plain Sight, The West Wing, Sports Night) is 53. 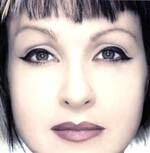 Montreal-born actress Linda Kash (Ron James Show, Robson Arms, Doc) is 52. Actor Jeff Chase (Days of Our Lives) is 51. Actor Naveen Andrews (Lost, Once Upon a Time in Wonderland) is 50. Actor James Waterston (Red Oaks) is 50. Musician Kid Rock is 48. Vancouver-born actor Chris William Martin (Tom Stone, Fifteen, Heartland, Amazon, Cedar Cove) is 44. Actor Freddy Rodriguez (Ugly Betty, Six Feet Under) is 44. Singer/actor Keith Robinson (Power Rangers Lightspeed Rescue, American Dreams, Over There) is 43. Actress Zooey Deschanel (New Girl) is 39. Singer Ray J is 38. Actor David Blue (SGU Stargate Universe) is 37. Country singer Amanda Wilkinson of The Wilkinsons is 37. Actor Max Adler (Switched at Birth, Glee, Young & the Restless) is 33. Actress Chloe Lattanzi (Olivia Newton John: Warm & Tender, The Wilde Girls, A Christmas Romance) is 33. Actor Hale Appleman (The Magicians) is 33. Drummer Jeremiah Fraites of the Lumineers is 33. Actor Jonathan Keltz (Reign, Republic of Doyle, Entourage) is 31. Actress Kelly Marie Tran (CollegeHumor Originals, Ladies Like Us) is 30. Actor Nate Hartley (The Goldbergs, Zeke & Luther) is 27. Actress/voicist Caitlin Sanchez (Dora the Explorer) is 23. Actor Jake Paul (Bizaardvark, Knights of Mayhem) is 22. Toronto-born actress Jamie Bloch (Degrassi: Next Class, Wingin’ It) is 20.